"Heritage Premium 6"" Fixed Head Kit At Victorian Plumbing.co.uk"
The classic traditional premium 6" fixed shower head and arm from Heritage Bathrooms, engineered for the demands of everyday use, this enchanting shower head and arm comes in a luxury chrome finish, adding sparkling glamour to any bathroom. 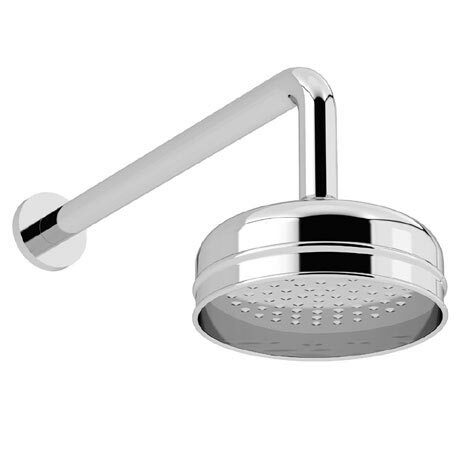 Combine with an concealed Heritage shower valve for a truly beautiful shower. Comes with a 5 year guarantee.